"Acceptance is a big hurdle," says Dr. Preeja Balan, the co-founder and Director of Octave Hearing and Speech Centre in Bengaluru. We're talking about the reasons why technology enabled solutions aren't very widespread in the field of Alternative and Augmentative Communication (AAC) in India Balan says there is a lot of resistance amongst people in using devices as communication tools. 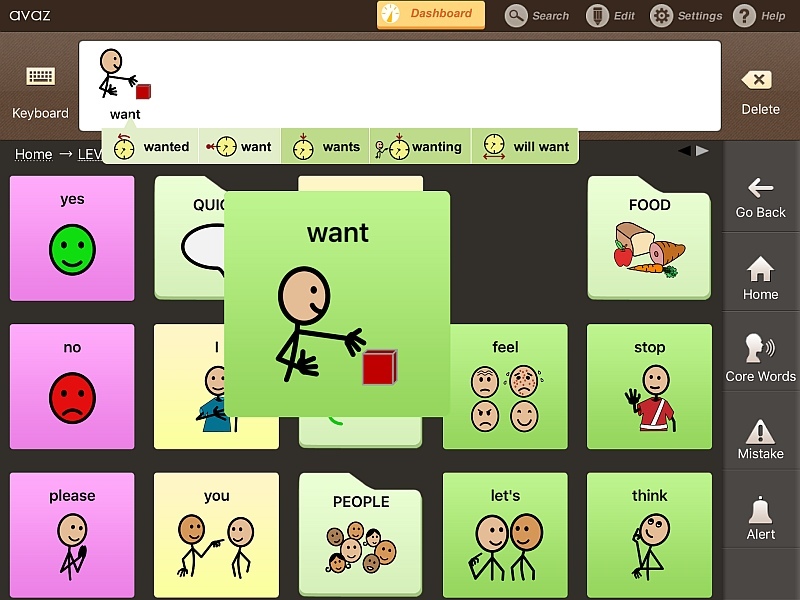 "People need to realise that this is a very powerful tool to help children to communicate." AAC is used to refer to any mode of communication that can be used in place of speech or writing; these tools give the ability to communicate to those who can't talk or write. The fact is that India is some 20 years behind the West in the adoption of AAC technology solutions, according to Ajit Narayanan, the inventor of Avaz, an app for iPads and Android tablets that offers a very cheap alternative to expensive AAC devices. The Chennai born, IIT-Madras alumnus was working in a technology company in the US, but this changed after he volunteered with Vidya Sagar, an organisation that works with children with cerebral palsy and special needs. 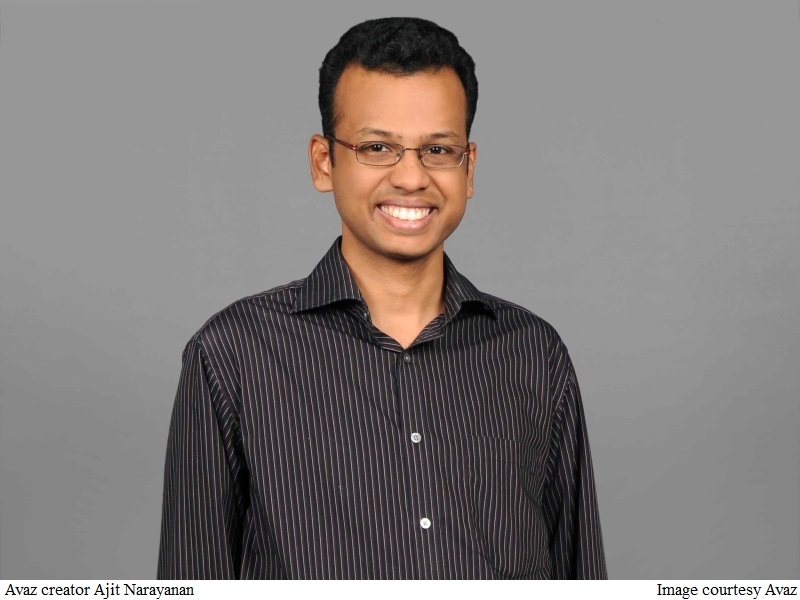 Narayanan started a company called Invention Labs and worked with Vidya Sagar to research AAC technology. By 2010, the company was ready to launch Avaz, which positioned itself as a much cheaper alternative to existing solutions. "At the time, we were looking at Avaz as a hardware solution, so we created our own tablet," Narayanan recalls. According to a newspaper report from the time, comparable devices from international manufacturers were priced at Rs. 3 lakh. The Avaz device cost only a tenth of that, and Narayanan tells Gadgets 360 that it could also be programmed with multiple languages. Soon after the Avaz hardware was launched, the iPad came along. Launched in September 2010, the iPad presented a unique opportunity for Avaz, as it brought many of the characteristics that Narayanan needed for the Avaz device into a desirable form factor, at consumer pricing. The next step was to redesign the software to work as an iOS app, and reposition Avaz accordingly. This happened quickly, and the app was an early success, thanks in no small part, Narayanan says, to a lot of support from Apple, which repeatedly featured the app in its top lists and on the front page of the App Store. Developed with a lot of input from Vidya Sagar, the app replaces words with pictures, so that children with disabilities that prevent them from learning languages can still communicate with their families and caregivers. "For some people with autism, for example, they can't really grasp the meaning of words because language is too random. If you think about it, it's just a random collection of sounds that we've decided mean something," he says. "While the pictures on the other hand are much clearer and easier to understand. And then there are others who might be able to type out words, but because of motor disabilities, that's a challenge. For all these people, Avaz presents a way for them to communicate more effectively with their families." 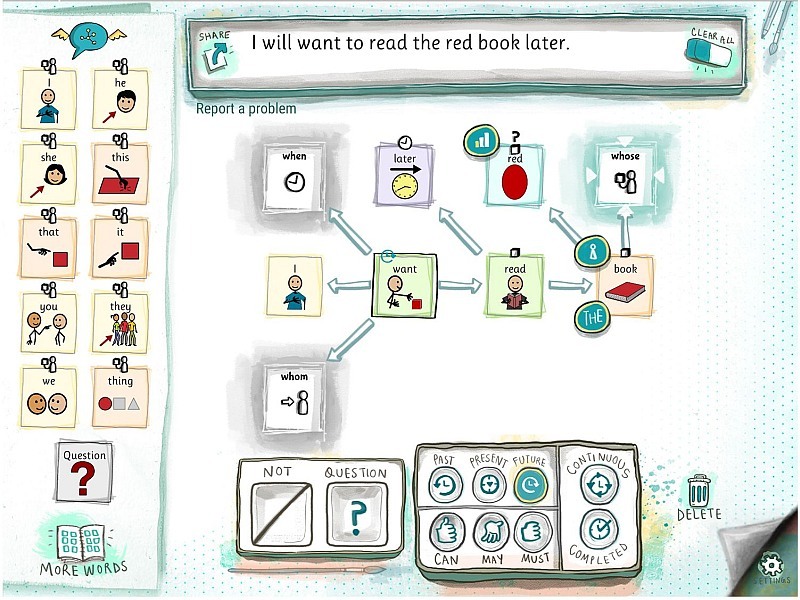 Basically, the app presents the users (children with learning disabilities) with a series of images that can be keyed in to communicate. On the iPad, it's easy to store a large number of images, and the challenge that Avaz faces is to organise this in a way that's actually going to be useful to the people who rely on it to communicate. The app supports multiple language, both Indian and European, and users can also add their own 'words' - for example, a picture of your grandmother, along with the word grandma. Dr. Balan praises Avaz for making voice systems more accessible in India, and added that the application has made it easier to teach special students a variety of subjects. Avaz, and other apps like it, are not a magic bullet - a demo video we watched of a child using Avaz shows that it still takes a little time and effort to put sentences together and to find the next word - but Dr. Balan says that if autism is detected early, then apps such as this can make a huge impact on a child's life. Invention Labs' latest application, FreeSpeech, which was released only recently, goes a step further than Avaz. "The idea behind FreeSpeech is to create a semantic map, to help people to learn languages," explains Narayanan. Essentially, he clarifies, while Avaz lets the user pick out the words they want to say, FreeSpeech is a learning tool to teach the rules of grammar. "For example, if you want to say 'I want an apple', you need to understand the relationship between 'I', 'want', and 'an apple'. That's what you're learning with FreeSpeech," he explains, "The app presents words like building blocks, and you can move them around, and it predicts the words and prompts you to expand your sentences. You can assemble the words into a grammatically correct sentence and helps teach abstract concepts like tenses." The idea is that the two apps will work together - FreeSpeech is a tool that parents and teachers can use to help their children learn the language, while Avaz is an essential tool that the can be used to communicate. "Avaz is like your glasses, you need it with you all the time," Narayanan adds. It's been five years since Avaz first launched in India. In this time, it's been used by around 30,000 people worldwide, with a 5,000 word vocabulary, and it comes with a parent training section that will help parents and teachers to train in turn the children who rely on the app. Localised for six Western languages and seven Indian languages, Avaz has been used by schools in New York and Chicago, and it's the leading AAC application in France and Denmark. In India though, its growth has largely been through private interventions, and it's only now being tested in a pilot program across 200 schools in Tamil Nadu, for which the deployment has not yet begun. Avaz is also being used in many special schools and also in speech therapy institutes. The testimonials from actual users speak for themselves - thanks to the app. A detailed case study provided by the company showed us some of the impact, but feedback from parents and children is equally direct. Children who struggled to communicate with their families are able to hold basic conversations with strangers. Parents say the app has helped their children to communicate what food they want to eat, what clothes they want to wear. But unlike the US or France or Denmark, there are still no large government run programmes for AAC technology in India. "Awareness is a big issue in India," says Narayanan. "This isn't some magic bullet that parents can just use without any background either, it's supposed to be used by speech therapists, and in India, there are around 2,000 speech therapists. That's less than you'll find in San Francisco alone." "In the US, it's mandatory by law that schools must provide all facilities required by special children to be able to keep up with the other students," he adds. Price is another factor, according to Dr. Balan. Apple's iPads, and similar Android tablets, are relatively niche products in India, unlike mobile phones. But smartphones don't really meet the needs that Avaz's users have, according to Narayanan. "The device has to be with the person using Avaz," he says, "and that's a problem because although phones are widespread, they will typically be personal devices of the parents. They need to answer calls and send messages and do many other things from their phones, so the phones can't be left with the children all the time." Just as people with poor eyesight require their glasses at all times to be able to see, people who require Avaz also need to have access to the device at all times in order to communicate. Apart from that, the smaller screen size of smartphones makes them less useful for Avaz, and it can be challenging for people with motor disabilities to press small icons. "The Avaz app requires you to buy an iPad, which is still expensive, and the app itself also isn't very cheap so for many people the price remains a hurdle," says Dr Balan. The Avaz app is available on iOS for Rs. 7,000; on the other hand, Avaz for Android is even more expensive, at Rs. 10,000, since the price is a direct dollar conversion from the US price of $150. It's available for half of that on both app stores right now, thanks to a 50 percent discount for Autism Month (April) but even so, that's not the kind of thing that a typical consumer is picking up. But that's also the point, in a way. "Typically, AAC technology is something that a speech therapist will teach a child how to use, but we don't have enough speech therapists in India," says Narayanan. That's why Avaz has added features that will train parents and teachers on how to use the app, how to measure the progress of a child using the app, and guide them through a plan of teaching. The idea though is that a trained professional should be the one guiding the use of the application. That's why Avaz will be working with the schools during its planned pilot in Tamil Nadu to train and work with the teachers in Special schools to properly use Avaz. The Ministry of Social Justice and Empowerment wants to give every child with a disability access to an appropriate education. Avaz and other apps in this category could help with this vision.